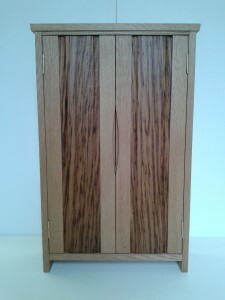 go here http://ezeta.com.ar/index.php?option=com_content This oak cabinet measures about 700mm high and is designed to be wall mounted. It was made as a wedding present for a couple moving into a small house where space is at a premium. The piece features my popular full length door panels and recessed carved handles and would work just as well if scaled up to a larger size. 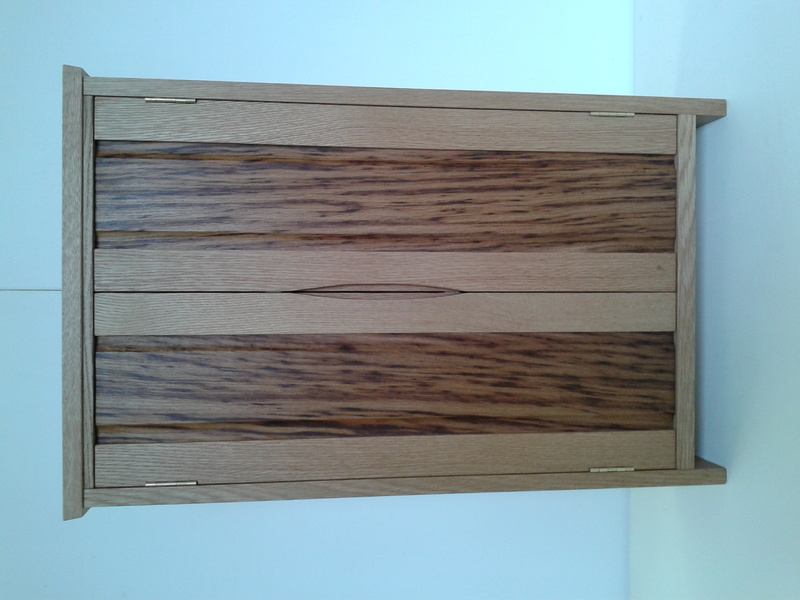 The door panels are in ‘tiger oak’ (stripey brown) which has been bookmatched, i.e sawn down the centre of a thick board and opened up like a book, to create symetrical figure. This entry was posted in Cabinets on May 3, 2013 by markripley.